Destination: Ho Chi Minh city, Cu CHi tunnels, Mekong Delta, Can Tho, Cai Rang – My Tho. Start the package tour with a sightseeing tour in Ho Chi Minh City, and then move to the Cu Chi Tunnels complex– part of an amazing network of tunnels which stretched for over 250 kilometers, giving visitors a unique experience and a feel of what underground life in the American war was like. Take a two hour drive to My Tho (Mekong Delta), then a sampan, cruising along the tributaries of the Mekong River for a close-up view of local life. Wander through productive orchards where you can taste some of the huge variety of tropical fruits grown here. Day 1: Welcome to Vietnam & Ho Chi Minh City arrival. – Arrive in Ho Chi Minh city. – Our guide will meet you at the airport and transfer you to your hotel. – Free time at leisure. Day Includes: Transfer, tour guide, hotel in Ho Chi Minh City. Day 2: Ho Chi Minh City tour & Cu Chi Tunnels. – Visit The Notre Dame Cathedral and Old Post Office. – The War Remnants Museum. – Visit the Cu Chi Tunnels. 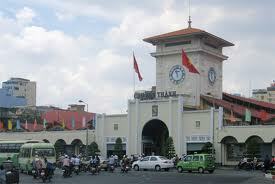 Day Includes: Transfer, tour guide, hotel in Ho Chi Minh city, hotel breakfast, lunch, entrance fee (s). – Take a two hour drive from Ho Chi Minh City to My Tho in the Delta region. 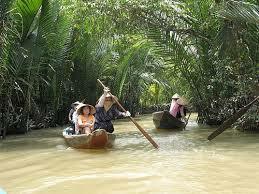 – Board a sampan cruising along the tributaries of the Mekong River for a close-up view of local life. – Wander through Islands and orchards where you can taste some of the huge variety of tropical fruits grown here and listen to traditional music. – Have a local lunch and then ride a bicycle around a local village. – Take the sampan back to the harbor, then a 2 hour drive back to Can Tho City. – Check in to a hotel and enjoy dinner in Can Tho City. Day Includes: Transfer, tour guide, hotel in Can Tho, hotel breakfast, lunch, dinner, entrance fee (s), boat trip in My Tho, bicycle. – It is advised to start the boat trip before 8am otherwise you may not see the busiest time of the floating market. – We take a boat trip and explore the vibrant floating market of Cai Rang, where the trading way is unique; each boat usually sells one particular item, whether it be pumpkins, pineapples, sugar cane etc. – Lunch at a local restaurant on the way back to Ho Chi Minh City, via My Tho. Day Includes: Transfer, tour guide, hotel in Ho Chi Minh City, hotel breakfast, lunch, entrance fee (s), boat trip in Can Tho. – You will be transferred to the Ho Chi Minh city airport for your scheduled onward flight, or to continue your journey to visit other places in Vietnam. – We hope you enjoyed your tour and see you again! Day Includes: Transfer, tour guide, hotel breakfast.